Present to your beloved this Awesome Chocolate Essential Gift Basket and create magical moments to cherish forever. 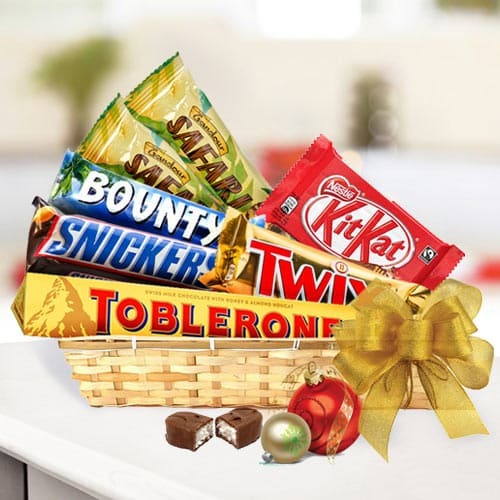 This priceless Gift Basket is brimming with delicacies which contains Toblerone Chocolate bar (50gm), Bounty, Snickers, Twix, Kit Kat and Safari 2 pc each. All these are beautifully arranged in a Tray.